Are you looking for Muktinath Tour. Nepal Tours has a option for road, flight or private helicopter charter from Kathmandu & Pokhara. Visit the website & get the best deals. This Muktinath Tour Package offer culture, historical, heritage sites & ancient temple of city in Kathmandu, Pokhara city of Beautiful scenery of mountains & Rivers, Jomsom, Unique adventure place of Kaligandaki valley, the place of Pilgrimage & across the Himalayas, Muktinath where god has got the salvation & Living place of god Bishnu, The place of Salagram. Situated at an altitude of 3,710 meters (12,172 feet) at the base of the Thorong La mountain pass in the Mustang district, Muktinath is a highly venerated sacred place for both Hindus and Buddhists. Our Muktinath Yatra is offering you the best Muktinath Darshan Packages for the year 2019 by jeep, flight, helicopter or trekking from Kathmandu & Pokhara. Muktinath is also a gate way to Upper Mustang from Manang along the famous Annapurna circuit trek route. 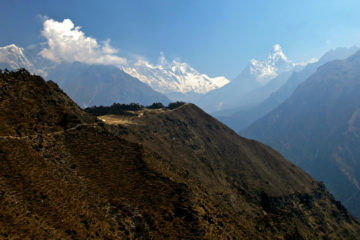 It is about 110 km from Pokhara and 20 km northeast from Jomsom. Each year it witnesses thousands of devotees flocking for worship in hope to receive moksha (salvation) from the cycle of birth and rebirth. The main attractions include temples such as Jwala Mai Temple, Swaminarayan, Shaligram and Gomba Samba. Jwala Mai Temple has natural gas. Apparently two flames are continuously burning above the flowing water. Note: Are you looking for Muktinath Yatra in a short way? Do you have limited time to visit Muktinath Temple? Wants to visit this sacred temple in just half day from Kathmandu or Pokhara? Looking for the best and cheapest fares to charter heli tours ? Then, Muktinath Helicopter Tour Package is for you!. 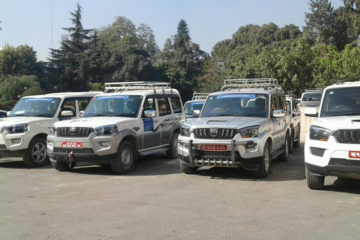 We may charter heli from Kathmandu and Pokhara or if you don’t like to flight then we have a option for jeep drive service from Pokhara. Day 01: Arrival in Kathmandu. Evening: visit Pashupatinath Temple. Our company representative will be on standby with our vehicle & a sign-board plaque displaying our your name & company’s name at the Airport to pick you up and transfer you to your Hotel. After you’ve freshen up, a senior executive from the office will give you a short briefing about your whole program. Evening: visit Pashupathinath Temple – World heritage site and oldest temple of Hindu (God Shiva) Pashupatinath, There will be Arati at evening regular at 6.00 PM , After worship and see Arati drive back to Hotel. Day 02: Drive to Pokhara via Manakamana Temple. After breakfast: Drive to Pokhara 200Km which is about 5 to 6 hrs, on the way you will visit Manakamana Temple (Goddess of willing) by cable car, it is 2.8 Km from down station to up and takes 12 min for one way. After Puja & darshan continues drive to Pokhara, Arrive and transfer to Hotel. Evening: free time for individual activities. Overnight. Drive: 6hrs | Manakamana Darshan | Breakfast, Lunch, Hotel – Included. Day 03: Fly to Jomsom (2700m) – Drive to Muktinath (3800m) and back to Jomsom. Flight: 25min | Muktinath Darshan | Transportation, Breakfast, Lunch, Dinner, Hotel – Included. Day 04: Fly back to Pokhara – Pokhara sightseeing. Early morning take a schedule flight to Pokhara and connecting flight to Kathmandu. Transfer to the HOtel. Evening: free time for shopping etc. After breakfast: sightseeing programs in Pokhara city. Places are: Gupeswor Cave – is a sacred and natural cave there is temple of Load Shiva, So that is known Mahadev cave, The Barahi Temple – is the most important monument in Pokhara. Built almost in the center of Phewa Lake, Davi’s Fall – known as ‘Patale Chhango’ is a lovely waterfall, Bindabasini Temple- is the mother goddess who fulfills the wishes of her devotees and Mahendra Bridge. Flight: 25min | Pokhara Sightseeing | Transportation, Breakfast, Hotel – Included. Day 05: Fly Pokhara to Kathmandu. Tour time: 30 min | Hotel & Breakfast, Dinner – Included. This has been a short holiday in Muktinath tour, but we are sure that you have enjoyed a wonderful vacation with lasting memories for a long time to come. After you’ve had breakfast, our office escorts & our vehicle will be on standby at your hotel to transfer you to the Airport for your flight back home. We look forward to meeting you again in this amazing country of Nepal. Myself and my wife visited this Muktinath temple during our Nepal tour from 17th Sept 2016. The journey by four wheel drive was over rough roads but the views more than compensated. The villages along the route are really scenic. The temple itself was very beautiful and I found it a deeply spiritual experience to take a shower under the 108 spouts of ice cold water and bask in the sunshine and the vibrations of the temple.